From rock and roll to country, from Memphis to Nashville. The music history continues in the state of Tennessee. Lying on the boarder to Mississippi and Arkansas, Memphis is all about one king – the king of rock and roll – Elvis Aaron Presley. A visit to Graceland is a must do, even the price is a bit too much (45 usd incl. tax to see the mansion, his airplane collection, the Elvis automobiles and some other smaller exhibitions). The mansion tour itself is very interactive and modern, and it can surely give you a good glimpse of how he lived his live as the king of rock and roll. The city of Memphis is not too big (600k) and not too impressive. It is built around Beale Street, which is adequate to the French quarter in New Orleans or Broadway in Nashville. Filled with lots of bars and restaurants, the maybe unique thing is that you can buy alcoholic drinks to go and consume on the street. One thing you should do is the Sun Studios Tour. It will set you back 10 bucks, but it’s worth it. 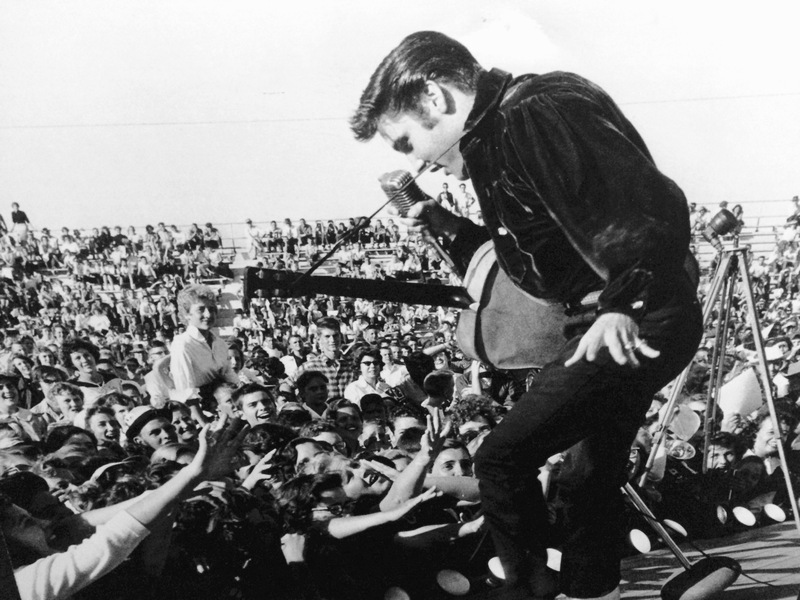 The tour is narrated by a guide who surely is a music and rock and roll fanatic and he will tell you some interesting life facts about the time when Elvis was rocking around the world. And if you are interested in sports, you can rock up at the FedEx forum and watch the former Vancouver Grizzlies playing ball in the NBA. Nashville, on the eastern side of Tennessee and around 3 hours drive away from Memphis is a total different story. Even though in the same state and with a similar history, you can feel the wealth of the city when you are close to it. No wonders, since the U.S. Medical industry is centered here! But the difference to Memphis is simply huge. While the area in and around Memphis is focused on history and poverty, Nashville is a lively and flourishing student town. Country and modern rock music is the thing here, Vanderbilt university the poster boy and the predators and the Titans the pastime. The people here are overly welcome and nice, the city is beautiful and the history a big part of America. As mentioned before, Broadway is the party street, stretching all down to the university area. If you are looking for some serious shopping, opry mills outlet is the place to go. And take yourself on a half day tour to the jack Daniels distillery, the oldest and first distillery registered in the states. Tennessee, a great state with lots of history and differences. There once was the confederacy consisting of the southern states of the U.S. Who fought against the union to remain sovereign. 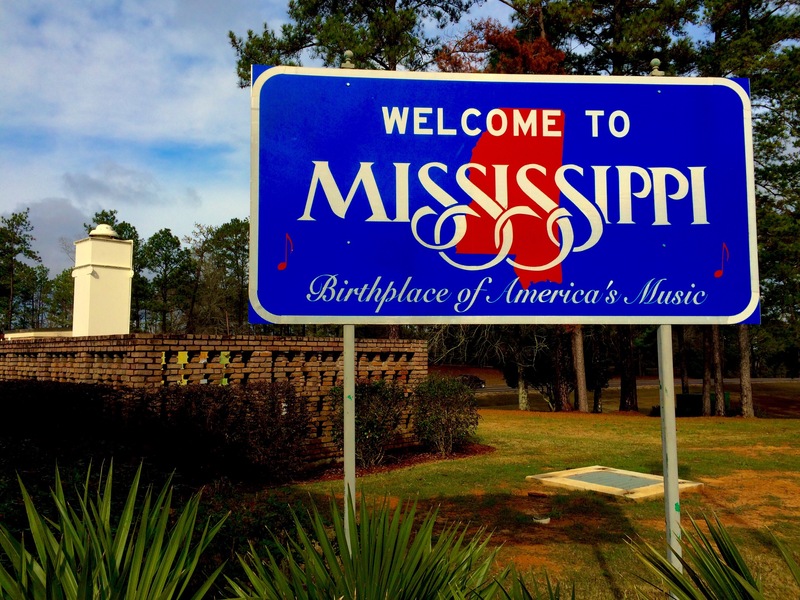 The more you travel into the Deep South, the more you can feel history. The South along the Mississippi is truly unique and a place where you can see and feel the rich history of this young country. At the same time, it is a very poor state and this can be evidenced by the abandoned houses and remotely located communities in and around the states. Natchez and Vicksburg is the place to be if you want to see how Americans lived back then and how the Unites States as we know it arose. The civil war battlefields in Vicksburg are very factual and interesting to see. Then there is music. In 100 year times, music surely will be one of the most biggest and most important influences the US might have on the rest of the world. And the south is the true roots to modern music as we know it today. From blues to jazz, from country to rock and roll, all is rooted in the south. One highlight no travel should miss along this route is the Shack Up Inn in Clarksdale, MS. Here, you can stay in shacks as the Americans did years ago and live the old southern way. The Shacks are very cosy and the owner surely was down to detail. I have never experienced a hotel so authentic. The shacks were gathered from abandoned farms around the city and renovated. New Orleans – one of the cities that never sleeps. 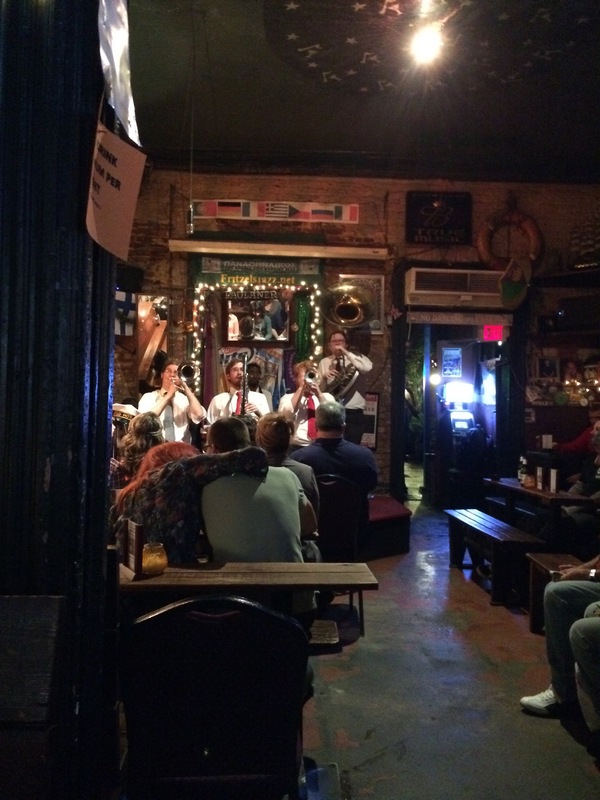 Known for Mardi Gras, swamps, fine creole/ Cajun cuisine and jazz. New Orleans is surely different to other big U.S. cities and can proudly call itself unique at the same level as Las Vegas or San Francisco. On a cab ride in the city, the driver convincingly told us that due to so many different culture ‚owning‘ the city, it developed an own unique culture within mainland US. When you see the French colonial style buildings in the French quarter, or the plush villas in the garden district, you can feel the New Orleans vibe. – check out the French quarter. It is surely a tourist hole, but the buildings themselves make it up. And you still have lots of good restaurants and bars in this area. – go to a jazz bar. Fritzels is a known one in the Quarter and hosts live jazz music 7 days a week. – check out the luxurious Garden District where Hollywood bigs like Sandra Bullock own one of the villas. – do a swamp tour. We decided to go with Cajun Encounters as we couldn’t see a big difference to the other providers. It was by 50% cheaper than the others though. Be prepared to pay 25 USD for a 2 hours tour if you drive up yourself. – watch a Pelicans or Saints match at the superdome complex! We decided to stay at the Homewood Suites New Orleans. Location (CBD) was good, very close to most attractions while not in the epicenter of the parties. The hotel has huge rooms, but it is nothing special. A typical chain hotel in the US. The service is, well, a big easy;) but who wants to stay in their hotel room all day long on such a trip! The old year finished with a late night and the new year started with an early wake up call. It felt weird to be on the road on the New Year’s Day. At the same time I can tell, I have never travelled that smoothly. Empty streets, empty airports, planes are in time, quick connections. Still, it is a mystery to me why so many people chose to travel on the first of January. Maybe tickets are cheap are simply cheap, or maybe these are the seasoned travels who know how to avoid stress. 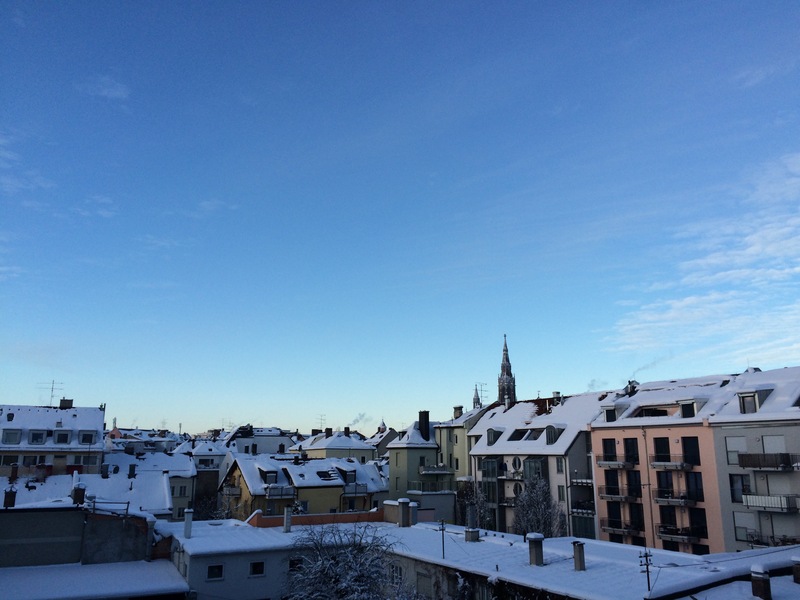 So the #travellenge began and the first of January 2015 was celebrated in 3 cities, 2 countries and 2 continents! Check in at Munich airport was quick, even though it took longer than your usual transcontinental flight due to the security concerns already starting in Germany. Due to the global paranoia, we were questioned a lot of questions before the check in, at the normal security check points, and before boarding. Eventually, we got on board and seated at our emergency exit seats. The service on United surely improved, even though you cannot compare to other European and Asian airlines. One big advantage of US flag carriers is the seat pitch. They usually feel way bigger than other carriers. The choice of entertainment was quite good (AVOD) but food was terrible. So after watching two films, I tried to nap a bit. That master for 2 hours and due to the head winds, the whole trip took one hour longer (9,5 hours). With a 30min delay w arrived at the Capital. One of the few airports in the US where you still can find the dirty smoking cabins. After a cigarette we went down to the UNITED CLUB, grabbed a drink and decided to intake our first Burger for 2015. The club itself is below average, it is more of an exclusive waiting are rather than a lounge for frequent travelers. Nothing special. Second flight: Washington (IAD) to New Orleans. Well, small plane, domestic (or even regional) flight, and slept the 2,5 hours. We arrived at 7:30 in NOLA (MSY), grabbed our bags, hopped into a cab and were at the hotel 45 min after touch down. The cab ride from the airport cost us 33 Usd plus taxes and it is a flat fee (when travelling to the city centre or the French quarter) and is the preferred choice when travelling in a party of at least two people. At the hotel we met with our friends who were already in the US for a week and went to the French quarter straight away. New Years in the US is traditionally a football (american football) thing. You have lots of college football decision matches and so there was an important game in New Orleans as well. We watched Alabama losing to Ohio State for dinner, grabbed a chilled Bud Light and then went to bed around midnight. And now I sit here, jet legged at 5:30 am after just 5 hours of sleep and looking forward to see the city at day light. Next: New Orleans, the different city and a review of the Homewood Suited New Orleans.